3.6 out of 5 based on 36 bloggers and 5 commenters. 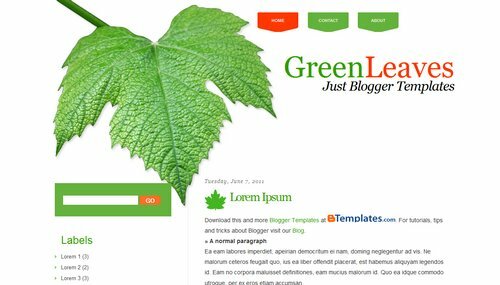 GreenLeaves is a free blogger template with 2 columns and left sidebar. This template is really interesting. I like this template. Can I change that leaf with a TEA Leaves please? i like template. GO GREEN ! Hi, I was also wondering whether I too would be able to change the leaf to my own logo.